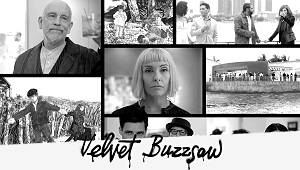 The critically-acclaimed horror movie will be available on both formats in September. 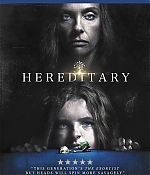 In an early announcement to retailers, Lionsgate says ‘Hereditary’ will be available on Blu-ray and 4K Ultra HD Blu-ray on September 4. 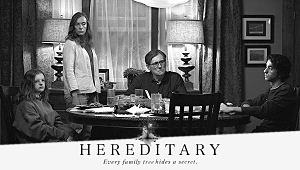 Each release will have a lossless 5.1 soundtrack, the 4K UHD will feature a Dolby Vision HDR presentation, and supplement include: Deleted Scenes, “Cursed: The True Nature of Hereditary” Featurette, and “Evil in Miniature” Photo Gallery. When Ellen, the matriarch of the Graham family, passes away, her daughter’s family begins to unravel cryptic and increasingly terrifying secrets about their ancestry. The more they discover, the more they find themselves trying to outrun the sinister fate they seem to have inherited. Making his feature debut, writer-director Ari Aster unleashes a nightmare vision of a domestic breakdown that exhibits the craft and precision of a nascent auteur, transforming a familial tragedy into something ominous and deeply disquieting, and pushing the horror movie into chilling new terrain with its shattering portrait of heritage gone to hell.